Hotel Petaluma does not have designated hotel parking. However, there are many options available to our guests below. 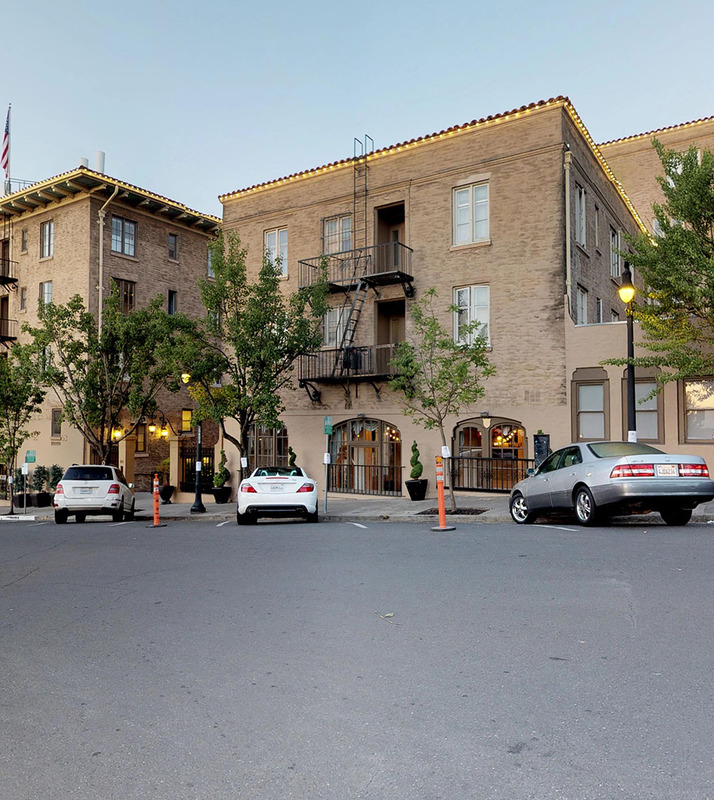 Conveniently located just outside the 205 Kentucky Street entrance, guests will find two 10-minute loading zone and check-in spaces marked by a white curb. 2-Hour Street Parking Spots - Perfect for unloading after 4 pm, one-night stays, departing before 10 am, or Saturday night stays. 2-hour parking is available on Kentucky, Mary, and Keller Streets. Available overnight parking after 4:01 pm. Monday-Saturday. Guests who use 2-Hour Street Parking after 4 pm are required to move their car before 10 am the next morning. Time limits are not enforced on Sundays. In proximity to the hotel, guests enjoy unrestricted free parking within residential areas. Available at the front desk, is a limited number of Keller Street Garage parking passes for overnight and extended rooftop parking. The Keller Street Garage is located just 0.1 miles from the hotel. The hotel parking pass allows guests to park for up to 72-hours on the rooftop without having to move their vehicle. The pass is valid for the length of your stay. *A refundable $50 deposit required to obtain this pass. During daytime only, guests visiting for the day or moving their car to street parking after 4 pm may park without a pass. The levels of the garage have different time limits; Guests enjoy 4-hour parking on the lower level and 10-hour parking on upper floors. Overnight parking requires a hotel parking pass. A limited number of free parking passes are available for the Bank of America Parking lot. These are available on a first-come-first-serve basis. There is no deposit required for this pass. Inquire at the front desk to learn about usage and time restrictions for this pass.